Tommy arrives at his familiar home outside of Reefside. He tells whomever he’s on the phone with that he’s home and will take his son JJ to school. But a portal suddenly opens in the nearby bushes and someone calls out his name! Over in Summer Cove, Mick summons the Rangers to the command shop because they have an emergency visit from the three Dementors from last week. They remove their hoods. Brody immediately recognizes the first Ranger as Time Force’s Wes Collins. The other two figures demorph and reveal themselves as RPM Ranger Operator Series Silver Gemma and Dino Charge Blue Koda. Levi says they’ve never heard of RPM or Dino Charge before. Wes explains there are different dimensions and Rangers exist in every single one of them. Gemma explains she comes from RPM world where Earth has been decimated by a computer virus. Koda says he’s from Dino Charge world where dinosaurs still exist. Time Force created Transportal devices so they can travel between worlds, but jumping between dimensions destablizes the Morphing Grid. So they only use the devices in times of grave emergency. Like right now. Rangers have been disappearing from different dimensions. So they need to contact Tommy Oliver (whom they’ve all heard of), but he hasn’t been answering their calls. They all go on a road trip to Tommy’s home in Reefside. They arrive just as Lord Draven arrives and Tommy welcomes him. Lord Draven rules the Anti-Verse. Madame Odius also arrives and asks Lord Draven how her robot technology is working. Turns out this Tommy Oliver is a robot and Lord Draven has been using it to capture Rangers who trust him. Madame Odius powers up Lord Draven’s arrows which are capable of destroying the dimensional barriers. After the first Mega Arrow is shot, they must wait until the sky is red to shoot the others. Wes opens a portal to the Anti-Verse and they hop through. RobotTommy arrives at Lord Draven’s castle and continues working on roboticizing the other Rangers: Antonio, Kat, Trent, TJ, Gia and Rocky. But one of the Rangers manages to escape and fry one of the cloning computers. Lord Draven says the whole system has been destroyed now. But that’s okay as he has enough Ranger clones take over every dimension. He tells Robot Tommy to hide the arrows as he goes to shoot the first one. 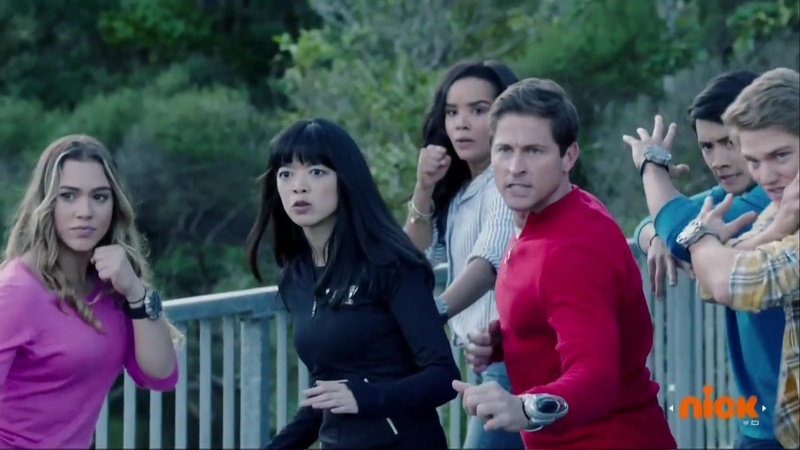 Wes, Gemma, Koda and the Ninja Steel Rangers are close to the fortress, but Kudabots appear with canons ready to kill them. Suddenly, a strange power comes zooming down and takes out the Kudabots. But it’s only Tommy. He and Wes hug. Tommy used the Black DinoThunder invisibility power to escape. Lord Draven fires the first Mega Arrow and the dimensional barrier begins to break open. 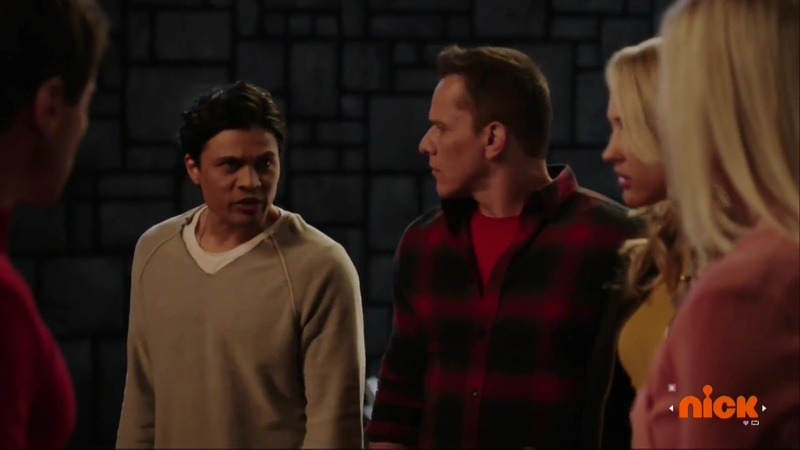 The Ninja Steel Rangers go after Lord Draven while Tommy, Wes, Gemma and Koda go save the other Rangers. The Ninjas get through the Kudabots, but not Lord Draven. Brody and Sarah are able to ninja their way into the fortress while the others retreat and try to find another way in. Tommy, Wes, Gemma and Koda are able to free the other Rangers. As the others hurry out, RobotTommy pops out to fight the real Tommy. But Tommy says the robot has no chance against his Master Morpher. Robot Tommy morphs to Black Dino Thunder Ranger. 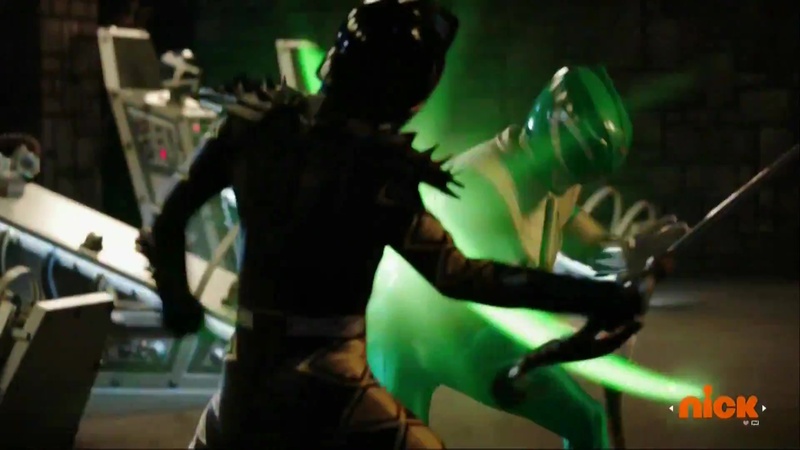 Real Tommy morphs into Zeo then White Tiger then Green Ranger. Brody and Sarah reach the replica of the Igasaki living room and face off against Lord Draven. They manage to find the Mega Arrows chest. Sarah ties Brody up on top of the chest and Preston swoops in with his Dragon zord to take the chest away. 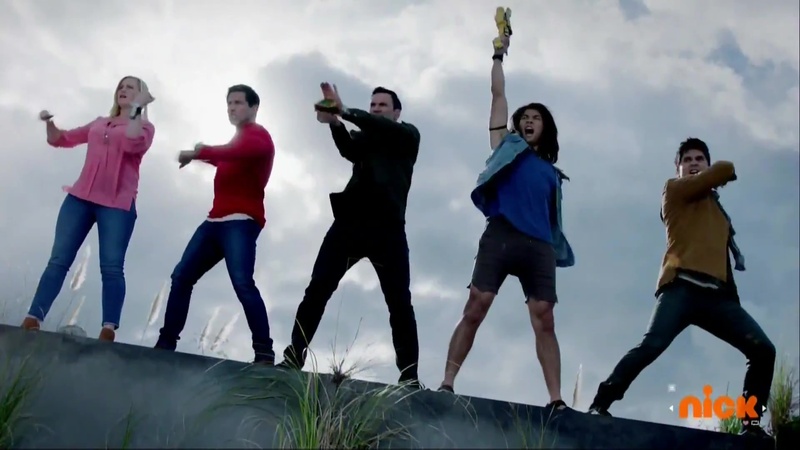 The other Ninja Steel Rangers are on their ninja kites and they plan on flying through the dimensional crack. But Lord Draven orders his Ranger clone army to shoot them down. 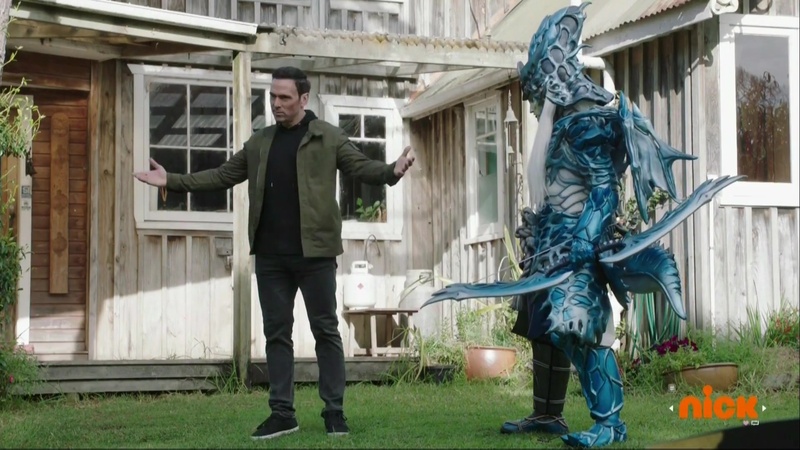 The Ninja Steel Rangers fall to the ground and are forced to demorph. The Rangers face Lord Draven who shoots the second arrow as the sky turns blood red. But the legendary Rangers appear out of nowhere using their own Ninpou. They all morph and take on the clone army. They are able to wipe out the huge army. Madame Odius orders a Gigantification of Lord Draven so he can shoot the final arrow. Lord Draven shoots the arrow. But Tommy goes White Ranger and hops into his Falconzord to grab the arrow. The other Rangers use their blasters to shoot at Lord Draven with Tommy using the last arrow to finish him off for good. The cracks manage to heal themselves immediately. The dimensions are safe. 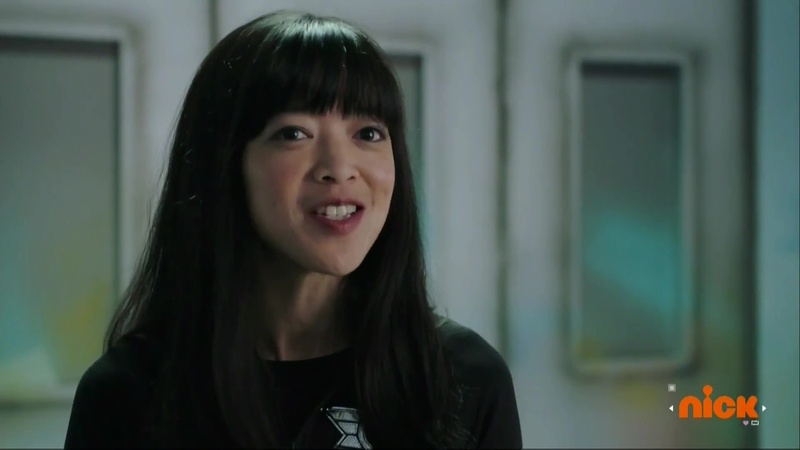 Rocky says the Ninja Steel Rangers have what it takes to defeat Madame Odius at the end of the season. They all exchange pleasantries and say goodbye. Gemma hops into one dimensional portal, Koda into another and everyone else into the last one. Brody says this was an epic anniversary episode! I wouldn’t say it was “epic,” but it was pretty good. I think I enjoyed it much more than anything Megaforce did, even the finale Legendary War. Now, I’m definitely not a Tommy fanboy, but that was a great cold open. Just seeing his old Reefside cabin home (DinoThunder is still one of my Top 5 seasons) and then the reveal that he has a WIFE and SON?! Now that’s the kind of fun stuff you want to see in an anniversary episode. The whole episode was pretty straightforward and simple. And that was actually a good thing. The exposition by Wes, Gemma and Koda at the beginning may have felt like too much all at once especially before going to Tommy’s house. But the explanations and premise of it all worked better than anything in Megaforce as well. Honestly, now that I think about it, the story reminds me of Super Hero Taisen Z, the good Super Hero Taisen movie. This episode might have been more amazing as a movie, or at least a three-parter. I haven’t see the comments yet, but I’m sure the three dimensions angle will be much discussed. It was a simple thing to point out, but still very clear and it made sense. That RPM and Dino Charge existed in different dimensions has been pointed out before. But seeing it so clearly laid out while also laying the foundation for any future crossovers was nicely done. Still, while it would’ve been great to get more from the vets, I think it was handled okay for one very full episode. The morphed Tommys battle was amazingly choreographed. Honestly one of the best Power Rangers fight scenes in a long time. Great choreography and great direction. Master Morpher is interesting. Basically just a way to get all of Tommy’s Rangers into the show with a good explanation. As for who Tommy married, I’m going to go with Haley. I have no connection to the Kim/Tommy/Kat drama. And since, like I mentioned earlier, I love Dino Thunder, and with Tommy still living in Reefside, I’ll go with Tommy and Haley getting married and having a son. One thing missing though was a roll call. They definitely should’ve had a roll call of all the Rangers. Overall, I very much enjoyed this episode. It actually felt like an anniversary episode with a story that actually felt exciting. 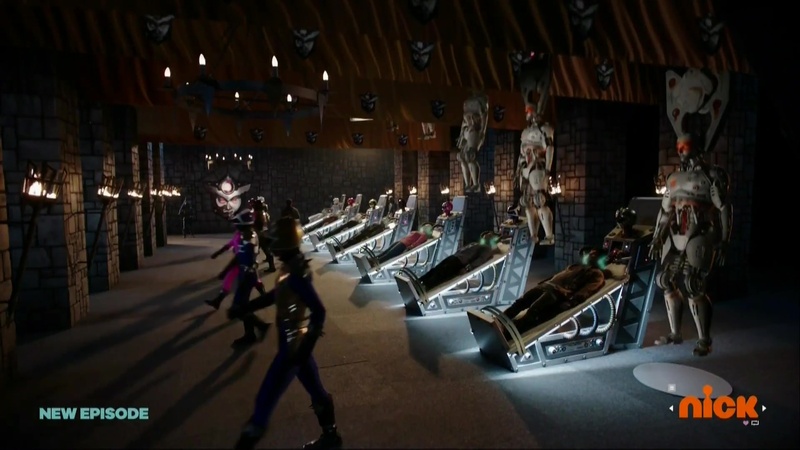 Especially relative to other so-called anniversary celebrations we’ve seen in the last few years on Power Rangers. This was an amazing episode. The staff did a excellent job, the writes, and the directors. I think I’ve never seen the directors’ names before, but they sure made a name for themselves with this episode. And yeah, the fight between Tommy and his robot clone was one of the most epic in recent years. But the final fight with all Rangers was also exciting. And of course, the Falcon Zord was totally unexpected. But my biggest question is about the music. There was some amazing themes, like in the infiltration scene, Tommy’s fight, and the final morph, that don’t sound like Noam Kaniel’s work, so it’s hard to believe he did ’em. Yes, a good episode with lots to like.